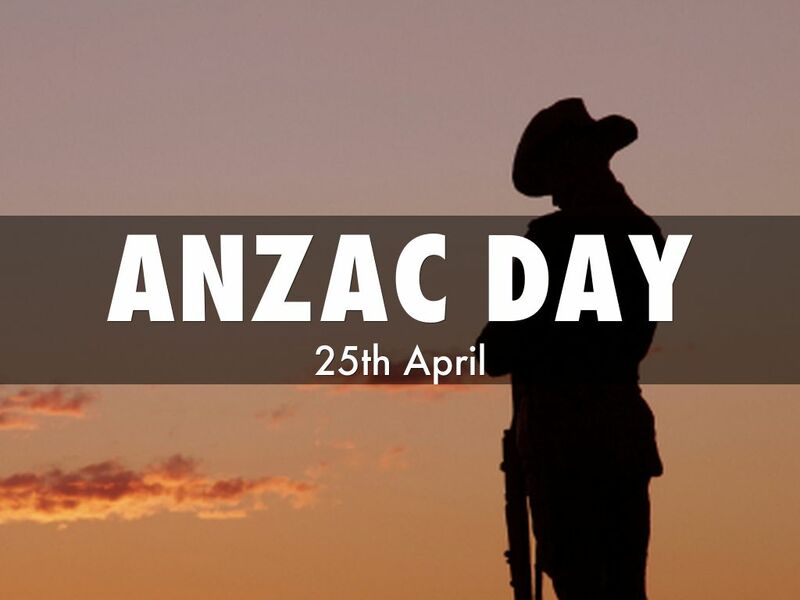 ANZAC stands for Australia New Zealand Army Corp.
ANZAC day occurs on the 25th of April. 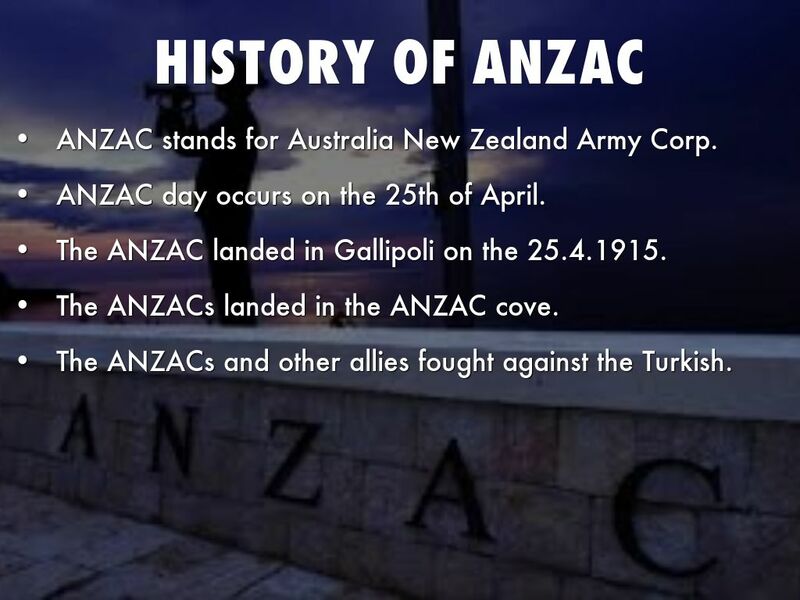 The ANZAC landed in Gallipoli on the 25.4.1915. The ANZACs landed in the ANZAC cove. 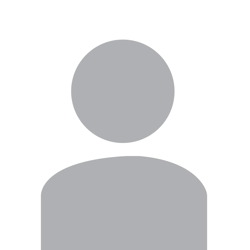 The ANZACs and other allies fought against the Turkish. 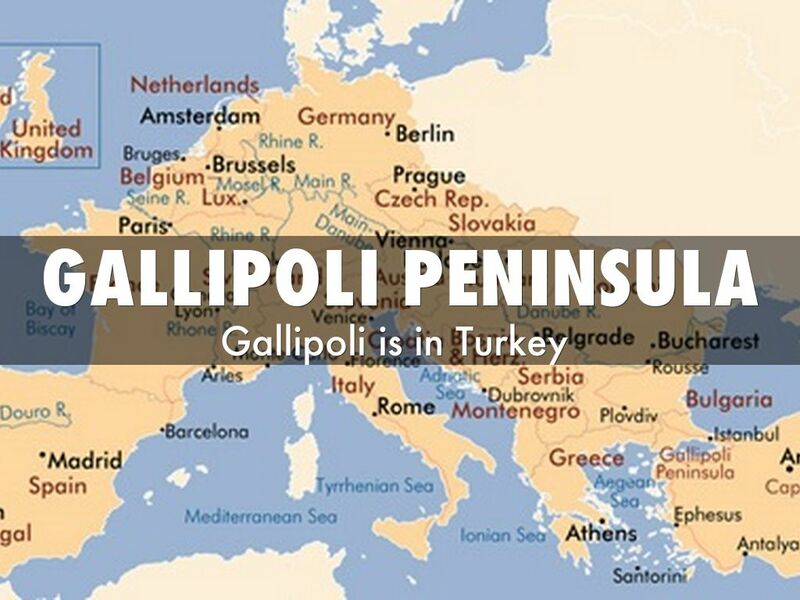 They fought for nine months on the Gallipoli Peninsula. 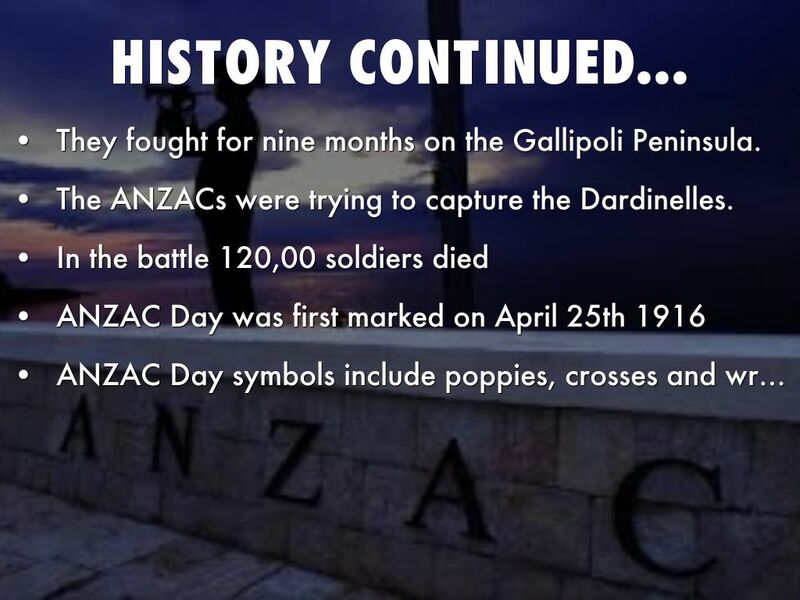 The ANZACs were trying to capture the Dardinelles. 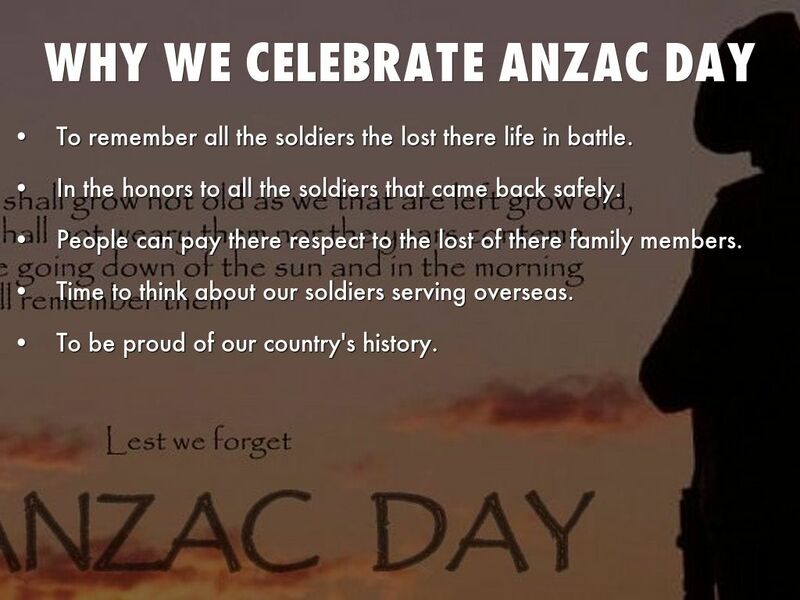 ANZAC Day symbols include poppies, crosses and wreathes. The poppy is a symbol of war remembrance. Flanders and red poppy is linked With battlefields death. The poppy was the first plant to grow in the mud. 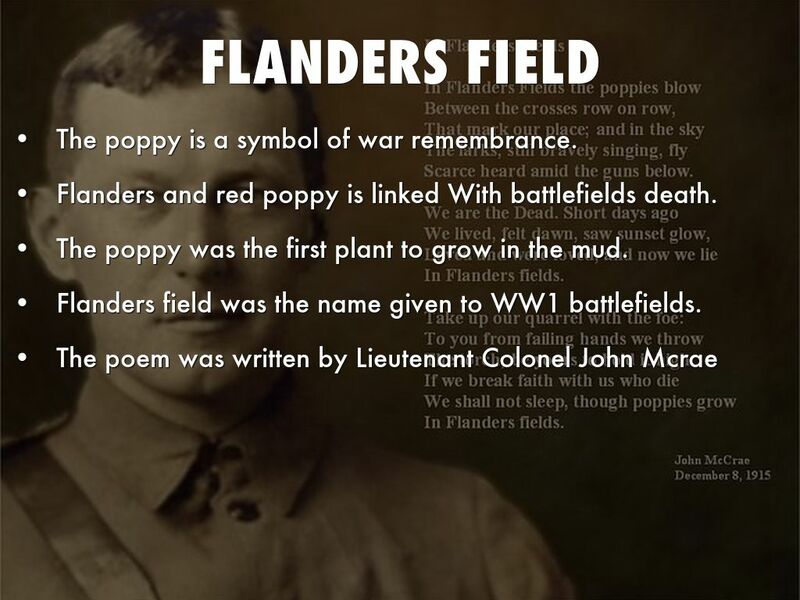 Flanders field was the name given to WW1 battlefields. 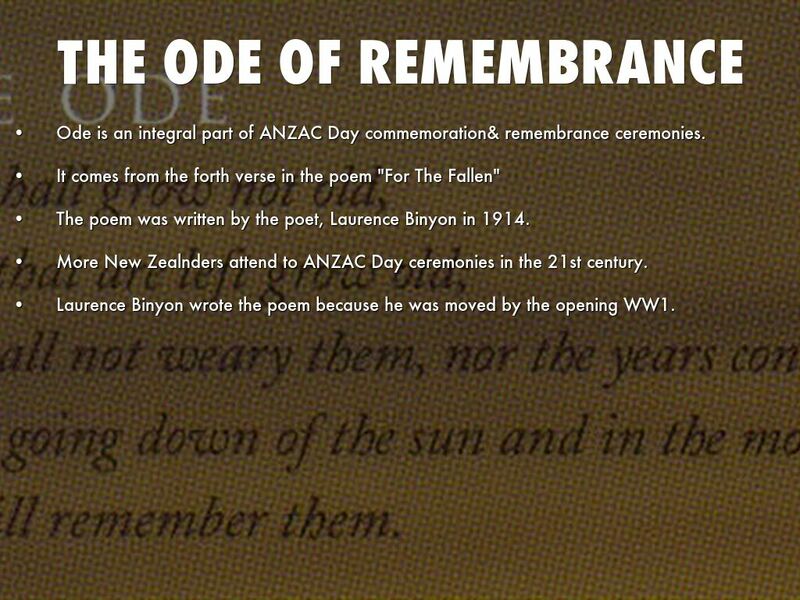 Ode is an integral part of ANZAC Day commemoration& remembrance ceremonies. It comes from the forth verse in the poem "For The Fallen"
The poem was written by the poet, Laurence Binyon in 1914. More New Zealnders attend to ANZAC Day ceremonies in the 21st century. Laurence Binyon wrote the poem because he was moved by the opening WW1. To remember all the soldiers the lost there life in battle. In the honors to all the soldiers that came back safely. People can pay there respect to the lost of there family members. Time to think about our soldiers serving overseas. To be proud of our country's history. 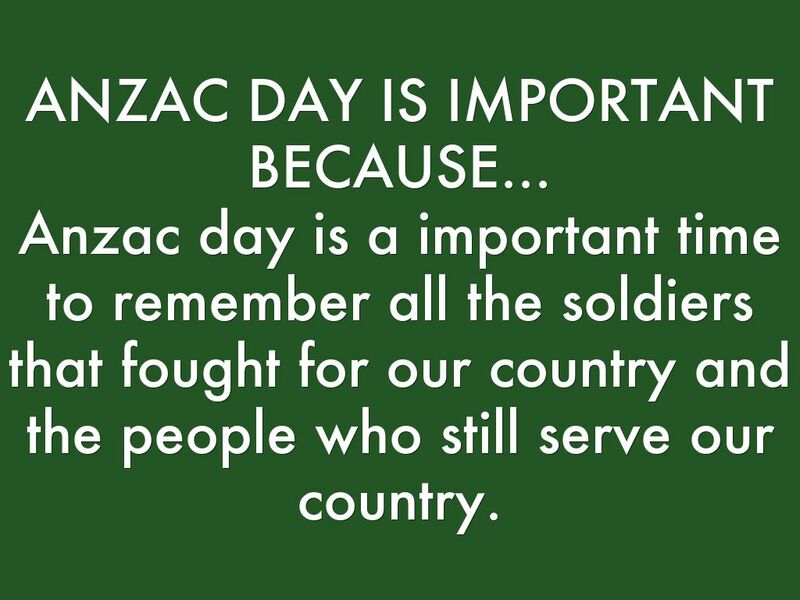 Anzac day is a important time to remember all the soldiers that fought for our country and the people who still serve our country.